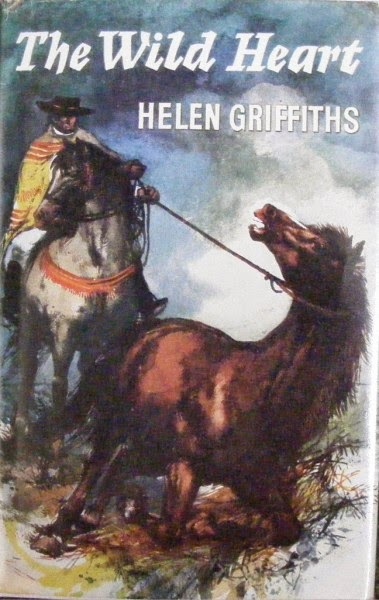 Helen Griffiths was one of those authors I encountered as an adult. I honestly don't know what I'd have made of her books if I'd read them when I was small. They are a whole world away from nice families, ponies and gymkhanas. From her earliest book Horse in the Clouds (1957), written when she was 16, she steered away from the conventional. Horse in the Clouds was set in the Argentine, and most of her succeeding stories were set in the Spanish-speaking world. Her books are often about the casual cruelty with which man treats the horse; and if you read pony books as escapism, these are emphatically not the books for you. 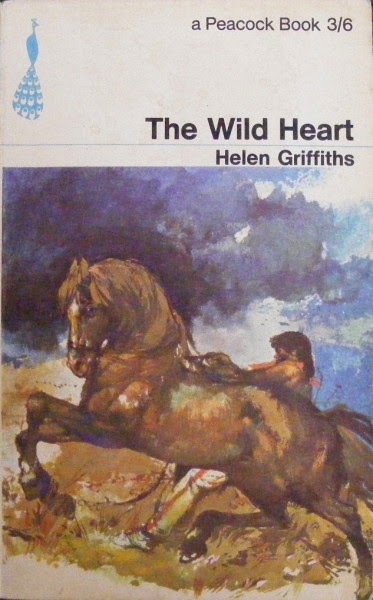 The Wild Heart is my favourite of her stories. It is the story of La Bruja, a wild South American horse, who is blessed (or cursed) with great speed from her Thoroughbred grandsire. She is hunted for her speed; and in the end a seeming cruelty is her only hope of survival in freedom. For more on the author, she has a page on my website here.